"I would love to walk down the street one day with people passing me and stating; there goes the greatest hitter the game has ever seen!" 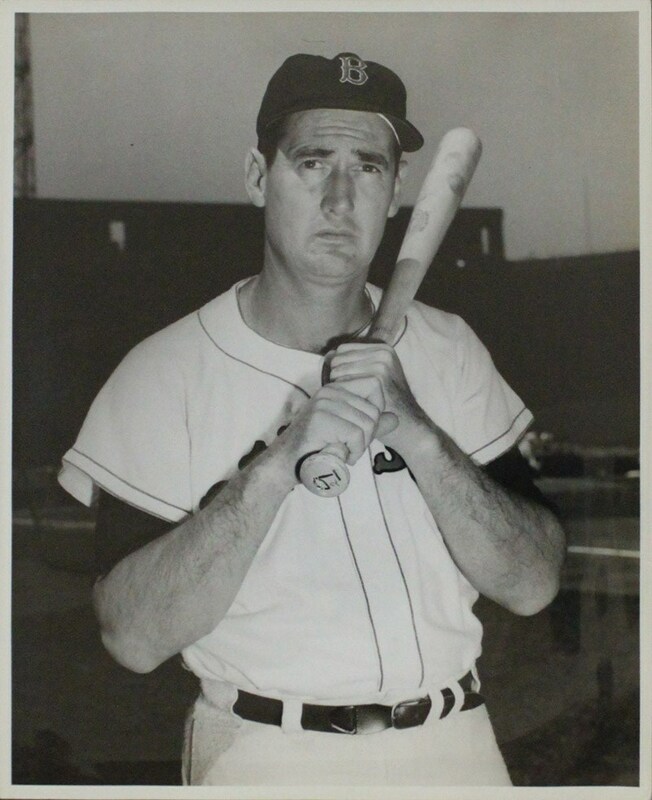 Such was the dream of a young Ted Williams as he pursued his place in baseball history with a steadfast persistence. Ted's dream DID become a reality for most baseball experts agree that Ted Williams is the greatest hitter who ever graced a batter's box. The "Splendid Splinter" not only handled the bat better than anyone who ever stepped into a batter's box, but also served two stints as a fighter pilot in World War II and the Korean War (shooting down 16 enemy aircraft). It is, therefore, both his baseball iconic stature and wartime heroism that led to him being the true embodiment of a National hero. 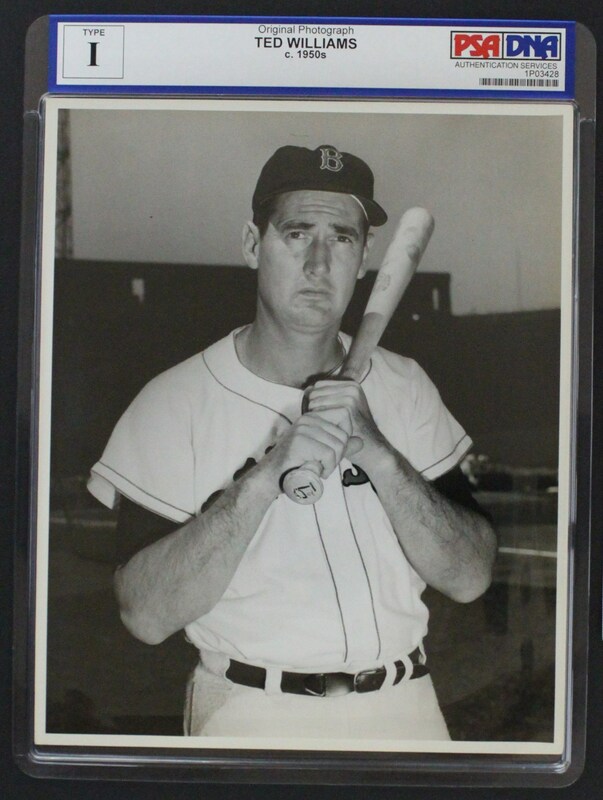 For all these reasons, his Boston Red Sox artifacts hold a special place in collectors' hearts with this outstanding PSA Encapsulated Type I "bat over shoulder' photo issued during the 1950's. Williams' spectacular bating pose depicts "The Kid' portraying a stoic look as he grips his mighty lumber that terrorized hurlers for over 20 years. 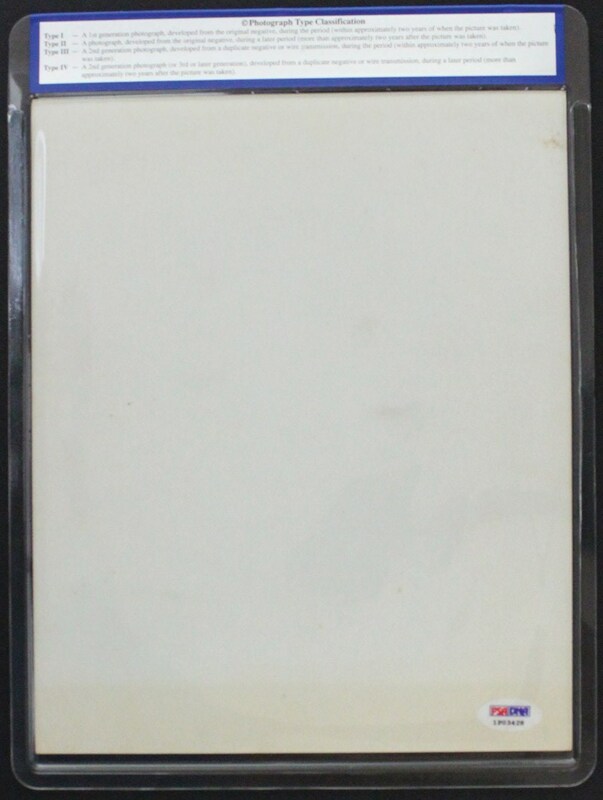 Near-perfect contrast and crystal-clear clarity dominate this magnificent offering that reveals no glaring surface flaws and outstanding centering between four bright white borders.